It's business time! 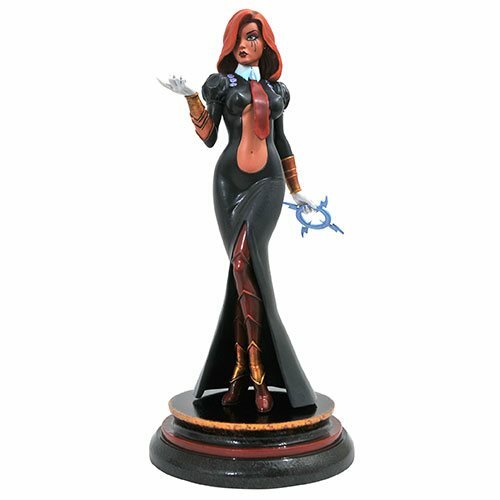 The ephemeral Dawn, star of Joseph Michael Linsner's comic books of the same name, returns to the Femme Fatales PVC statue line with this 9-inch sculpture of her in her Executive Goddess attire! You'll have your fingers crossed for a hostile takeover once you get this statue onto your conference table! Made of high-quality plastic with collectible-quality paint applications, this statue comes packaged in a full-color window box. Ages 14 and up.